Team IITDU Coders are taking their prize for becoming the champion. 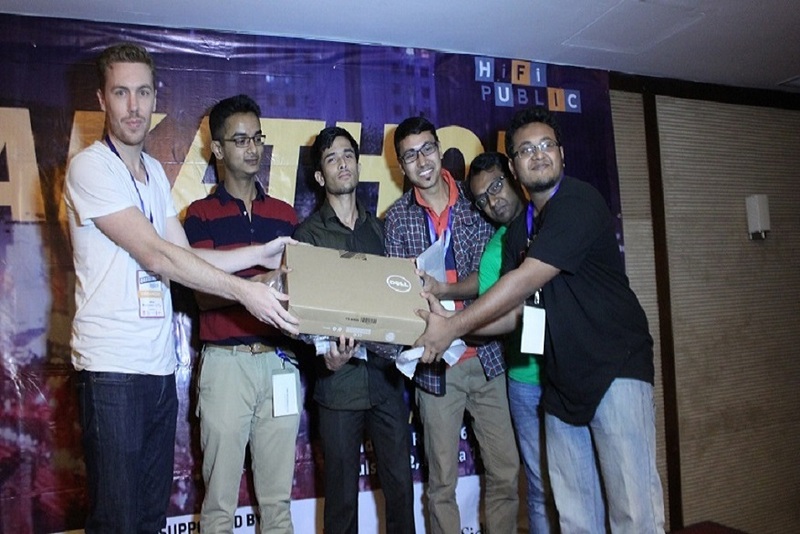 Team IITDU Coders was crowned as the champion of Dhakathon 2015. The team members are - Kazi Solaiman Ahmed, Md. Yusuf, Mainuddin Talukder and Shafiqullah Shohag.